7:00 AM Hashkama (Wake up!) Time for the bunk to wash up and get ready for a big day! (Flag Raising) With the whole camp together, we raise the flags, sing our national anthem, and get a short lesson in Hebrew from our Israeli scouts. 7:45-8:30 Aruchat Boker (Breakfast!) Campers sit with their bunks and enjoy a warm, hearty breakfast. Main course could be pancakes, french toast, waffles, or bagels. There's also daily options of scrambled eggs, cereal, fresh fruit, and more. (Prayers) Most mornings the camp splits into aidot (age groups) for morning prayers and Jewish learning. Twice a week we bring the whole camp together for t'fillot. 9:15-12:30 Morning Chuggim (Electives) Our jam-packed morning! Campers enjoy 2 activities of their choosing, like archery, arts and crafts, or News Tube. There are also blocks for Nikayon, when each bunks straightens up their cabin, and Chaverut, a special activity that bunks plan for themselves. 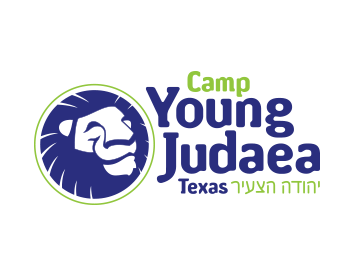 12:30-1:10 Aruchat Tzoharayim (Lunch) Often a meat meal, expect hamburgers, chicken fajitas, shnitzel, meatballs and more, (vegetarian options always available!) Taking a break from the buffet, this meal is served family-style for extra bunk bonding time. (Rest Time) A time to relax and recharge before the afternoon. Campers return to their bunks to nap, write letters, talk, or play cards. 2:15-5:30 Peulot Alef-Dalet (Afternoon Activities) Our jam-packed afternoon! Each aidah (age group) enjoys different activities every day, sampling everything camp has to offer, including ropes course, gardening, sports, and more! On some days, aidot also use this time to explore their education topics, learning about Israel, Judaism, and personal growth. 6:15-6:25 Mifkad Erev (Flag Lowering) We lower the flags, sing Hatikvah (the Israeli national anthem), and head to dinner! 6:30-7:15 Aruchat Erev (Dinner) Common dinners include baked ziti, specialty pizza, pasta with alfredo sauce, and grilled cheese with tomato soup. Just like lunch, there are always staples nearby, like tuna salad, plain pasta, Soy Nut PB&J, and our critically acclaimed salad bar. (Bunk time) Time to wrap up the day. Campers return to their bunks and get ready for bed. Some reflect on their day together, read a story, or wind down with a meditation. (Good Night) Ofarim, Chalutzim, Tsorim, and Maginim—good night! Our nighttime guard duty, shmira, begins for these bunks. 9:30 2nd Laila Tov Kesher, Bogrim, and Segel—good night! Shmira begins for these bunks.